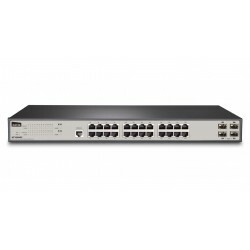 The 16-port 10/100/1000 Gigabit Ethernet switches are high-performance, small-format devices that provide the Auto-MDI / MDIX function on each port eliminating the need for cross-cable use. In addition, the Nway auto-negotiation function facilitates the installation of any new device, negotiating the transfer speed automatically between the equipment and the connected devices. 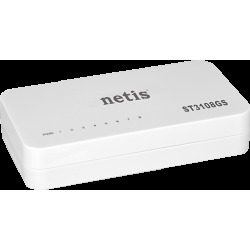 It has LEDS so that the user can easily see the status of the network. 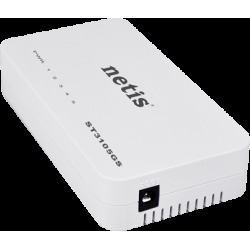 The series of Gigabit switches offered by Netis are efficient in energy, offering our small contribution to the health of the planet. 2 bits in ST3126 and 3.5 Mbits in ST3124G, support Jumbo Frame 9 Kb.